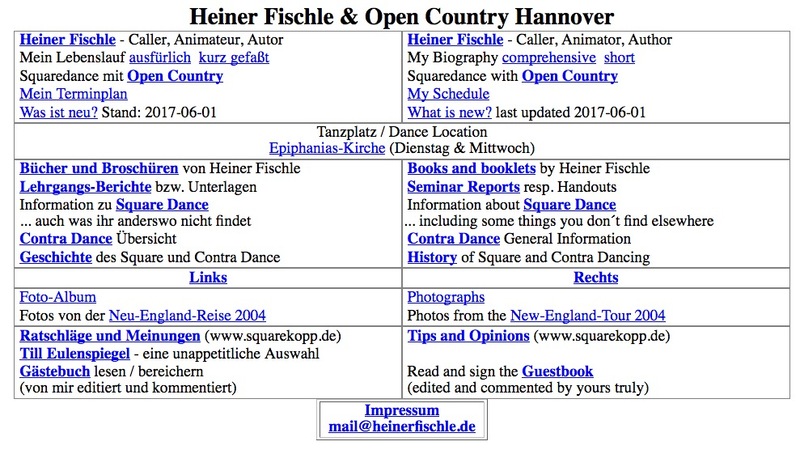 Heiner Fischle is a German caller, choreographer, and organizer. He has compiled a detailed website including some material of general interest. 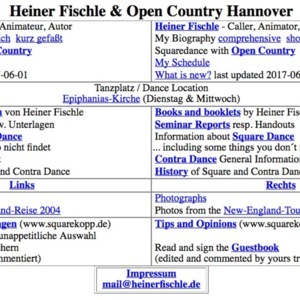 Heiner Fischle, “Heiner Fischle's website,” Square Dance History Project, accessed April 26, 2019, http://squaredancehistory.org/items/show/508.